There are a huge variety and potential frequency of disastrous events that can overtake the tranquility and serene nature of the area, and that is why our disaster restoration team with 911 Restoration East Dallas is ready around the clock to eliminate any sort of chaos from your property. Disasters can come in a shocking diversity of forms, from man-made to natural catastrophes, there is no shortage of potential pitfalls within the environment to adversely affect your home of business location. In an ongoing effort to reduce the amount and degree of loss that can be experienced during a disaster of any kind, our specialists make sure to arrive within 45 minutes of any kind of distress call for help. Moreover, our disaster restoration East Dallas technicians are available 24/7/365 so that no matter when chaos erupts, we can be there to take care of it for you quickly and professionally too. If your home or store location has recently gone through a disaster event of some sort, then you need the expertise of our skilled disaster restoration East Dallas technicians to take care of it for you today! Taking on the challenges that result from disasters and homes and businesses throughout the area is our technicians expertise, but at the same time, we are also highly adept at helping anyone to avoid the effects of a disaster scenario too. Always trim the branches on the trees that surround your property. Dead limbs have the capacity to fall during high winds or severe storms and they can then impale your structure introducing water to the inside when you least expect it. Make sure to check your sump pumps at least once every year to ensure that they are in perfect working condition before any saturation starts to seep in. Clean out your gutters at least once a year to prevent any clogs from allowing overflows to inundate you roofline. Direct your downspouts away from the foundation of your home or office to ensure that the runoff doesn’t supersaturate your structure and cause liquefaction to occur. There are plenty of ways that you can prevent damage in your home or business location using these simple techniques, but there are also plenty of other ways too, so if you have questions that aren’t addressed here, be sure to contact us for help. 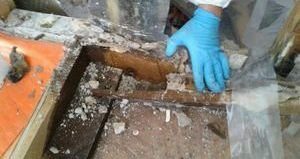 If your property has recently gone through a disaster of some sort, then don’t wait another second to contact our disaster restoration East Dallas experts with 911 Restoration East Dallas for help today! There are a host of different ways that disaster can find a way into your lovely home, and none of them area easy to amend, though with our expertise and field-tested skills, we are your best option for making your home like new again after a situations occurs. When it comes to eliminating these situations from your home or office location, our teams are completely dedicated to your satisfaction and that is why we always put the needs of our customers as priority number one. Additionally, we make sure to bring the latest drying technology and damage elimination equipment to your site when we arrive so that we can take care of any situation we encounter. When taking on a disaster of any kind, the specifics dictate the course of action required and this is why our teams are trained in all kinds of disaster restoration work. If your property is already dealing with the effects of a disaster of some sort, then you need help from the best in the business, and you should call our disaster restoration East Dallas team for assistance immediately today!